Buckle up for the greatest motorsport spectacle on earth, as Monster Jam heads to you! Going strong since the early 1990s, this bone-crunching, fuel-injected show gathers together the best drivers and monster trucks in the world to face off in the hopes of making it to the finals in Las Vegas. Monster Jam is divided into racing and freestyle, allowing the drivers to go head to head, and then show off their jumps, wheelies and donuts solo. You won't believe the tricks these hulking gas guzzlers can pull off. 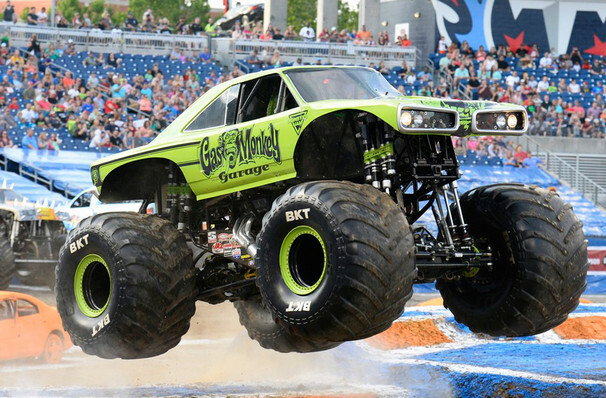 Great family entertainment, Monster Jam is also a must for any petrol heads out there! Sound good to you? Share this page on social media and let your friends know about Monster Jam at World Arena. 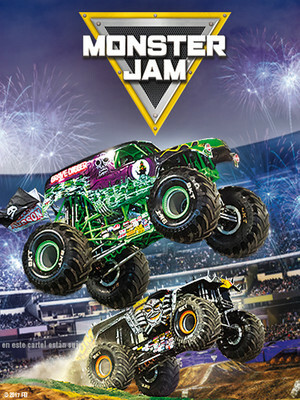 Please note: The term World Arena and/or Monster Jam as well as all associated graphics, logos, and/or other trademarks, tradenames or copyrights are the property of the World Arena and/or Monster Jam and are used herein for factual descriptive purposes only. We are in no way associated with or authorized by the World Arena and/or Monster Jam and neither that entity nor any of its affiliates have licensed or endorsed us to sell tickets, goods and or services in conjunction with their events. Colorado Springs Theater is part of the Theatreland Ltd Collection. Established in 2003, Theatreland offers the largest individual collection of websites providing complete, impartial guides to all the theatrical, musical and performance arts events and venues in the world's greatest theatre cities, from New York's Broadway to London's West End and from the showrooms of Las Vegas to Shakespeare's Globe Theatre.